Going out of town can be complicated when you have pets. Whether the trip is for vacation or business, you need somebody in Little Rock that you can trust to take care of your pet while you are away. You can reduce your travel stress and anxiety by boarding your dog or cat in our safe, clean, and comfortable environment. 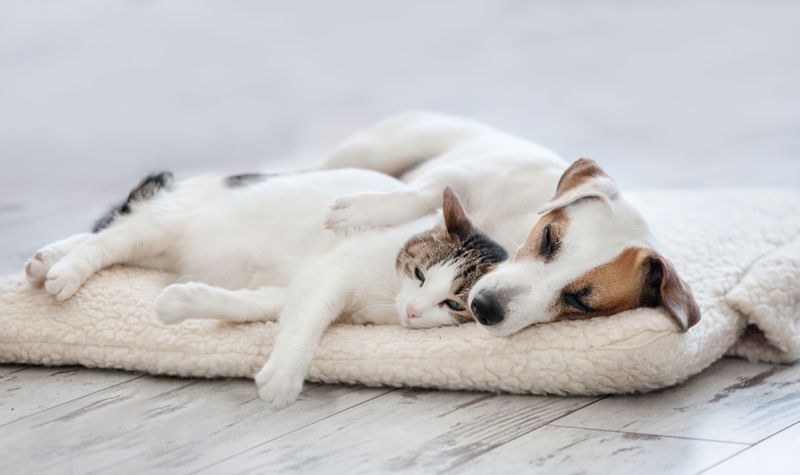 We offer a good solution for pets with special needs–health issues, medication, or special diet–as our boarding accommodations are near the vet’s office and our staff are professional and friendly. Additionally, our staff has the expertise to immediately spot it if your pet is sick or in distress. We do not believe pet boarding is, or should be, one-size-fits-all, so we individualize the care to your pet’s age, level of activity, etc. We take special requests (do tell us if your dog has traits in common with Houdini) and board both dogs and cats. You can trust us to give your pet the finest care and attention it requires. Curious about our amenities and accommodations? Come visit us and tour our Little Rock pet boarding facility and see for yourself how well your pet will be cared for. We schedule facility tours Mondays through Thursdays from 12:00-2:00 p,.m. and 5:00-6:00 p.m. Please contact us to schedule a visit so we can answer all of your questions. We recommend that you always view a facility before dropping off your cat or dog, and we will show you everything you need. Our facility is clean, comfortable, and designed to be the best place for your pet to stay while you are on the road. Your pet’s care should not be a source of anxiety and uncertainty when travel already comes with its own stresses. Let SRVC take your pet’s health and safety off of your worry list! For the health and safety of our guests, boarded pets must be current in the following vaccinations and screenings. We reserve the right to refuse pets lacking proof of current vaccinations. We accept pets younger than 4 months old; however, the animal must have completed their full vaccination series. We offer boarding for a variety of species. Please call us to inquire. We require that you maintain a monthly flea/tick prevention to protect the facility and other pet guests. Food: We provide Science Diet Healthy Advantage, but you are welcome to provide your pet’s own food. If you are bringing your own food, please package food in individual zip-top bags as needed for the entire boarding time. Each bag needs to be labeled with guest’s name and time of dining. Please do not bring giant food bags unless your pet is staying longer than two weeks. Bedding: We provide bedding for each guest. Please do not bring large dog beds. If bedding is brought from home, it must be machine washable and fit into a standard washer and dryer. SRVC is not responsible for damages to any personal items. Toys: Please do not bring any of your pet’s toys from home. We can’t guarantee that they’ll return in the same condition. We will administer medications during your pets stay if required. Please bring enough of your pet’s medication to cover your stay. We require that you bring the medication labeled with the administration instructions. Pets can be dropped off any time during our regular business hours: Monday–Friday 7:30 a.m.- 6:00 p.m., Saturday 8:00 a.m.-12:00 p.m. Pets must be picked up on the last day of boarding by 2:30 p.m. or a charge will be incurred for that day. We offer multiple discounts for pets sharing the same kennel. The first pet’s rate is the full price and the second pet is 50% off. Our hospital is equipped with a commercial grade generator. In the event of a power outage, our generator will run the entire facility including HVAC (heating and air system), lights, security system, and controlled entry. Please Note: Your pets must be picked up by 2:30 p.m., or you will be charged for that day. To begin a boarding request, please complete this form and we will contact you to complete your reservation. After we have completed your reservation, you can register your pets for boarding to save time when you arrive at our facility.